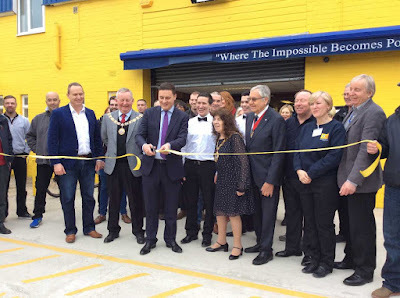 On Friday 18th March 2016 Wes Streeting, MP for Ilford North, stood in for the convalescing Mike Gapes MP to cut the ribbon for the official opening of a new Re-Use Centre in Mike’s constitiuency of Ilford South. 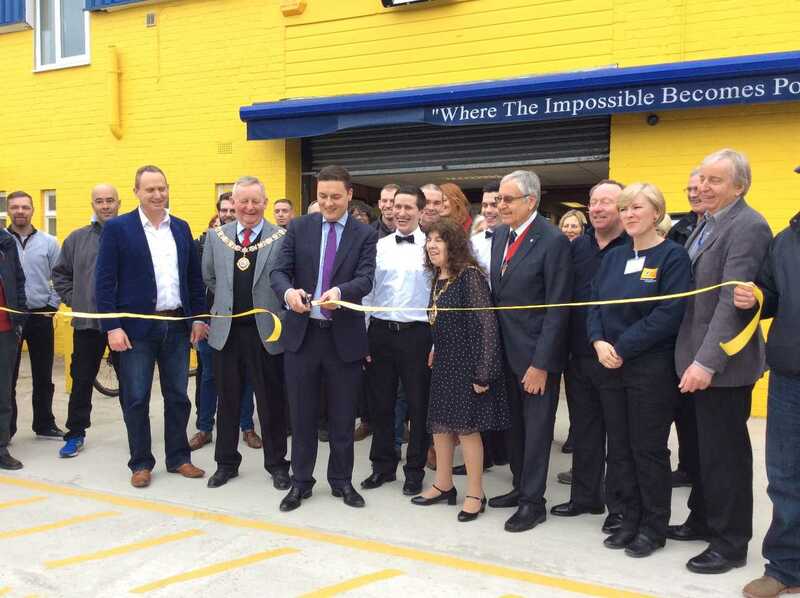 It is located in a warehouse behind the TCL (Teen Challenge London) Centre at the southern end of Uphall Road on the borders of Barking & Dagenham – indeed both the Mayors of Redbridge and B&D were also in attendance as you could tell from the limos outside. It is both a social enterprise (not for profit) and a Christian based charity, and this particular one is a partnership venture between TCL and Lighthouse. Lighthouse started up in Brentwood and have been going for about 20 years, and have since opened new branches in Rainham and Epping dealing in quality reused furniture, appliances and household goods that could otherwise end up in landfill. There is a two tier pricing structure, one for the general public and a much cheaper one for those in desperate need or on benefits; which applies to all the essential items, but not the luxuries. It is a sad fact that those who are in temporary accommodation (furnished), and are then lucky enough to get a permanent place end up going to Argos to buy a sleeping bag and move in with just that. They work closely with Liberty and other Credit Unions and can kit out an entire home, down to cutlery and crockery, for a very reasonable price. They have a workshop on site where volunteers will make minor repairs to furniture and qualified volunteers will refurbish electrical goods. Donations are collected free. TCL is a hostel specialising in the rehabilitation of those with long term addiction problems, and they explain that the new Re-Use centre will enable them to gain new skills and the confidence to re-enter mainstream society. “We recycle people too” said one representative. Click on the links to find opening times and contact details.